From a total number of 600 earthquakes with moment magnitudes larger than 3.0 only 21 were followed by a small intensity tsunami (NOAA). 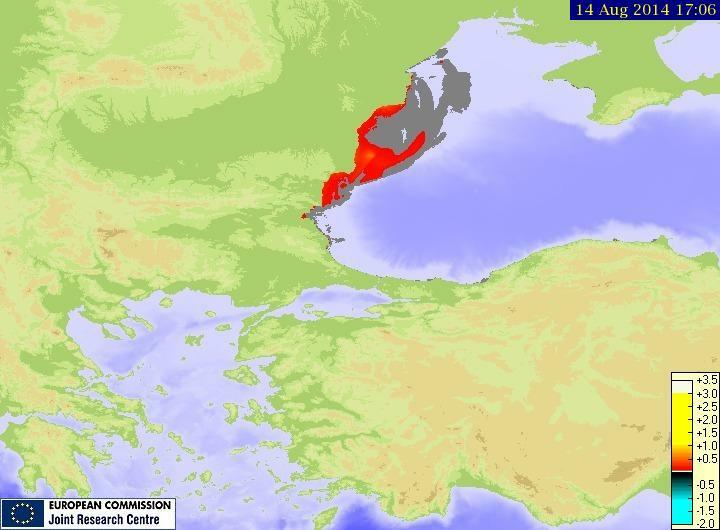 In Table 2 are presented the Black Sea tsunami events (Papadopoulos et al., 2011). In Figure 1 are plotted the 21 earthquakes from Table 6 that have produced tsunamis. 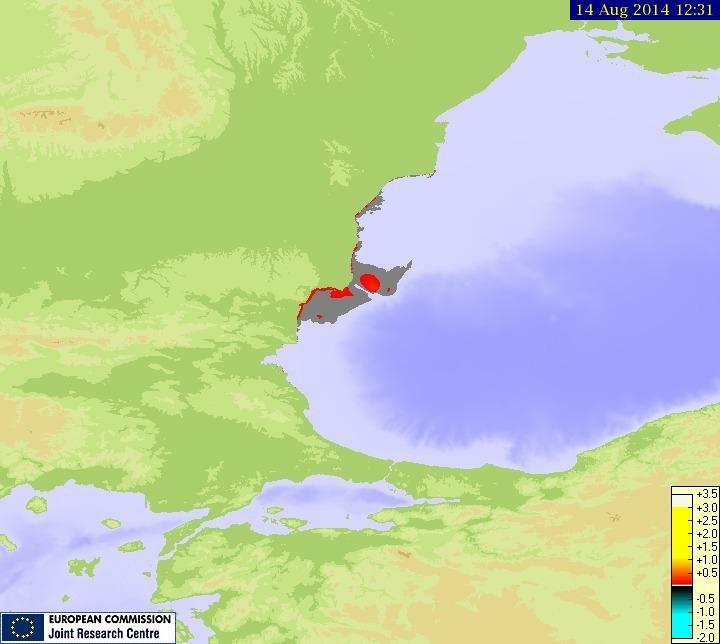 From Table 1 we can see that more than 20 tsunamis have so far been observed in the Black Sea. 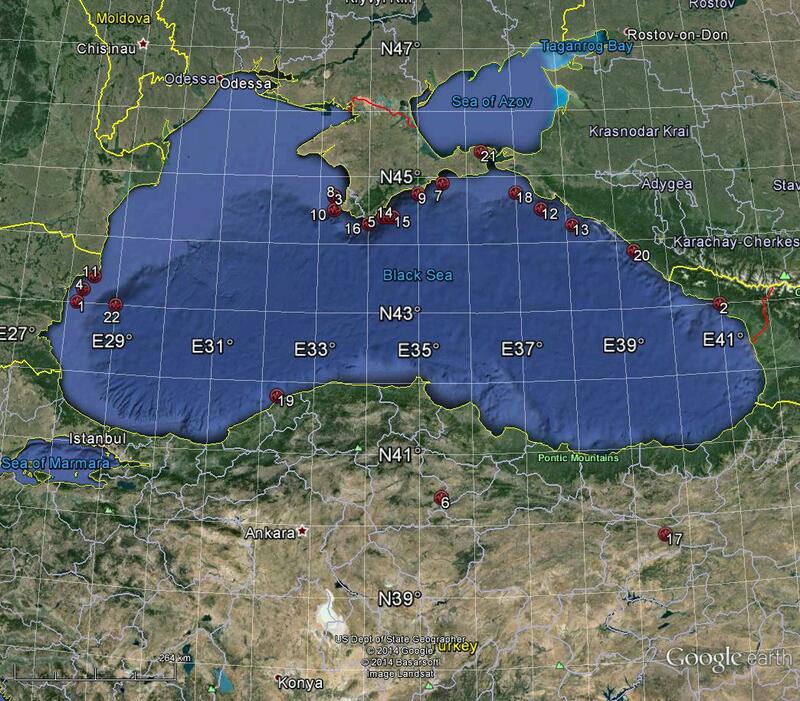 The wave length in the Black Sea was 45-110 m, the velocity of travel was 120-140 km/h and the time of travel from one coast to the other was 10 to 110 minutes (Papadopoulos et al., 2011.). Tsunami Simulation using the seismic hazard results Only for Shabla source zone, BS3, we have used the TAT program to obtain some models for tsunami propagation. The simulations are presented in the next pages for different earthquake magnitudes as presented in Table 2. The fault parameters as input for simulations were taken from the existing mechanisms. Conclusions In the studies above are presented only some examples of tsunami simulation, using only the focal parameters of a medium crustal earthquake occurred in Shabla source zone in 5.08.2009 Mw=5.0. Further studies are required.